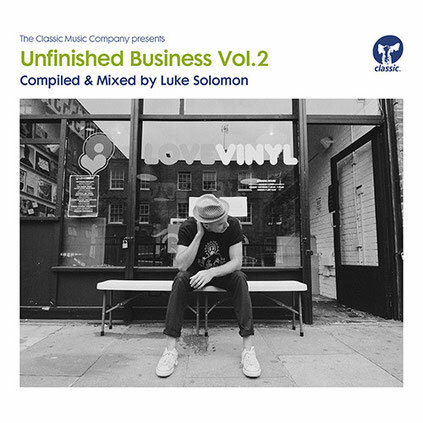 ‘Unfinished Business Volume 2’ from Luke Solomon again unearths rare tracks and previously unavailable records from the likes of JM Jackmaster, Nail, Chez Damier, Louie Vega and plenty more. Along with his recently re-launched Business As Usual: Live from the Washhouse radio show, the compilation sees Solomon acting as informed selector for the mix. A mixture of classic and material external to the label, ‘Unfinished Business’ distils his wandering sets, the conclusion of a belief that his years of experience should sit as a reason for reviving pure, DJ mixes. This latest edition sees Solomon digging ever deeper into the vaults of house music, extracting – amongst others – a classic cut from the label that was Tak. ‘Track 1’ is a rarity from Chez Damier recorded under his Bootleg With Love alias, and later sampled by a certain Derrick Carter on the track that was ‘Where You At?. An unreleased version of the Nail track ‘Hurt U’ also squirms its way into the collection, as well as some vinyl-only releases from Central Executives and Maurice & Charles that have yet to see official digital releases. ‘Unfinished Business Volume 2’ is again a mix of old, new and somewhere in the middle, with Luke hopefully turning you on to things you may not have had the chance to hear. It’s out 26 October (vinyl sampler and digital) on Classic Music Company.